If you can relate to one or more of the above situations, we strongly recommend that you give our doggy day care service a try. Our flexibility and experience are unmatched in the area, and since we are a fully-functional animal hospital, you can trust that your furry family member is in highly-qualified hands all day long! If your pup is having socialization issues and does not know how to play well with other dogs, that’s okay! Our well-trained staff will work with them during one-on-one play sessions until they are ready to be placed in a play group. You are welcome to drop your pup off at one of our Cary or Raleigh locations at any time during the day. You may choose to do a full day (morning through evening) or half day session (morning through lunchtime or lunchtime through evening). Pickup times vary depending on the location’s hours. Extended client care evening hours offered at most locations for convenient later pickup. We take the extra time and effort to place dogs in appropriate play groups according to age, size, energy and personality. This ensures that the dogs will enjoy safe constructive and, most importantly, fun playtime. 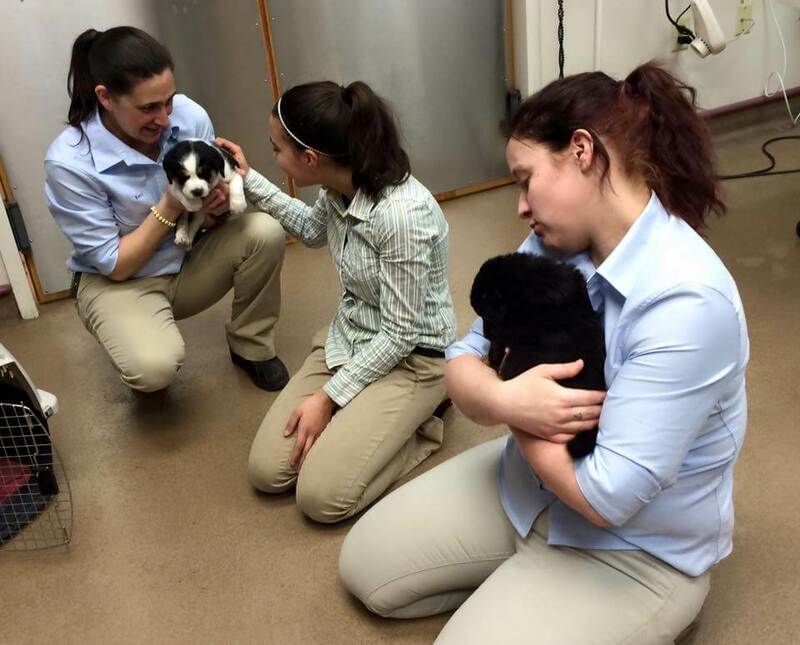 We also have experienced staff that will keep a watchful eye on the dogs, giving them one-on-one fun and TLC. Your pup will have a blast chasing balls, playing with toys, splashing in our pool, romping with pals and more! In between each 30-minute play session, we give the dogs some time inside to relax and rehydrate. If you have any food or medication that you would like us to give your pet, we are more than happy to administer it. Please contact us for pricing information on our affordable doggy day care services. If you have questions regarding our doggy day care, give one of our locations a call and our friendly staff can further assist you. Get Started With Our Doggy Day Care Today! With Care First, you can rest assured that your dog will be given plenty of love and play time during their day camp visit with us. And, as a full-service animal hospital & emergency vet, your furry friend will be in well-qualified hands. We recommend that you call ahead to schedule day camp sessions, but we do accept walk-ins on days that aren’t too busy.